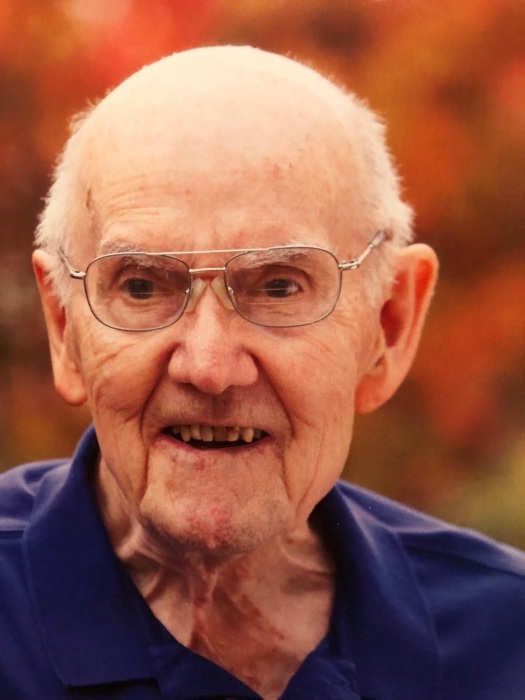 Wendell Wilson Allen, of Champaign, IL went home to be with his Lord on August 14, 2018. He was 91. Visitation will be on Saturday, August 25 from 1:00-3:00 PM with the memorial service to follow at 3:30. It will be held at Stratford Park Bible Chapel, 2801 W. Kirby Ave, Champaign, IL. Private burial will be at the Danville Veteran Cemetery on Friday, August 24. Wendell was born August 24, 1926 in Decatur, IL a son of Othel Archibald and Velma Wilson Allen. He married Lois June Owens on September 28, 1946 in Mahomet at the home of Wendell’s sister, Rose Warner. Lois passed away Feb. 8, 2013. They have four surviving children; Kay (Roger) Mahannah of Savoy, Judy (Maurice) Neese of Oklahoma, Doug (Carol) Allen of Mahomet and Wendy Michels of Champaign. Also surviving are twelve grandchildren, 25 great-grandchildren and 4 great-great grandchildren. In addition to his wife he was preceded in death by his parents, his sister, Rose Warner and his son-in-law, Steve Michels. He wanted most to be remembered as a man of God. He served in the churches he attended through the years; Westside Church of Christ, Champaign, Webber St. Church of Christ, Urbana and Champaign-Urbana Christian Church. He and his wife hosted many Bible studies in their home as well as memorable social times with friends. He had a profound influence on numerous people in their Christian walk. Wendell attended Champaign schools and the University of Illinois. He managed the shoe department at Kaufman’s Department Store for many years, sold appliances at Sears, worked in display advertising at the News-Gazette and spent eight years at the Office on Aging, all in Champaign. He served in the Army, Americal Division, Field Artillery, from 1944-1946, in the Philippines and Japan, attaining the rank of Master Sergeant. Wendell and Lois enjoyed vacationing on the beach in Florida and in Glen Eyrie, Colorado, attending Christian conferences. Many thanks to the Badgers Bible Study group, caregivers at Bridle Brook, Mahomet and Carriage Crossing, Champaign and also to Meg, an amazing Bible study leader and special friend.